The specialist claims solicitors at Holiday Illness Claims have helped a family of three successfully receive £3,850 in compensation after gastric illness plagued their Greek holiday. The Westwell family jetted off to Loutanis Hotel, Rhodes, in June 2014 with high hopes for a memorable stay. Unfortunately, within days of their arrival at the 127-room resort, father Daniel (30), mother Nikita (23) and son Charlie (5) were struck by sickness and diarrhoea. As their illness symptoms progressed, the sickness stricken trio cancelled planned excursions and sought medical advice from a local pharmacy, obtaining painkillers and anti-sickness medication. With their family holiday ruined, the Westwells returned home deflated but determined to pursue a claim for gastric illness in Greece. Anne Thomson, head of travel law at Holiday Illness Claims was the Westwells first port of call. Anne handled the familys claims on a no win no fee basis and negotiated a total settlement of £3,850. Commenting on the case, Anne said: I am so pleased that I was able to help the Westwell family claim the compensation they deserve. Illness has no place within a package holiday and I would always advise anyone who is unfortunate enough to fall sick on holiday to report their symptoms to their tour operator and seek medical advice. Documenting any hygiene failings and exchanging contact details with other afflicted guests can also be beneficial, should you wish to make a claim for compensation on your return. 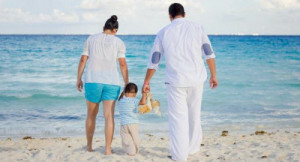 Here, at Holiday Illness Claims, our dedicated holiday helpline remains open on 0800 01 54321, offering expert legal advice and guidance to anyone who has fallen foul of hygiene standards on a package holiday within the last three years. Daniel added, I am delighted with this result. With over 50 years experience in travel law and an unrivalled claim success rate, its easy to see why holidaymakers from across the UK have already made Holiday Illness Claims their first choice for legal representation. Alternatively, complete the quick online contact form and a claims specialist will be in touch within 24 hours.